If you are interested in a different shade of pink, let us know, we will send you samples. 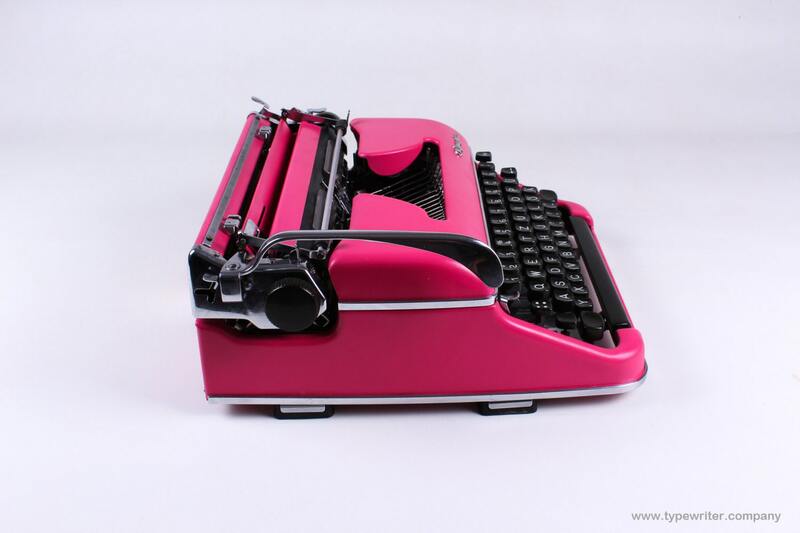 This typewriter is a real beauty and the typical 1950s design, an absolute must have!!! Manufactured in West Germany in the 1950s. 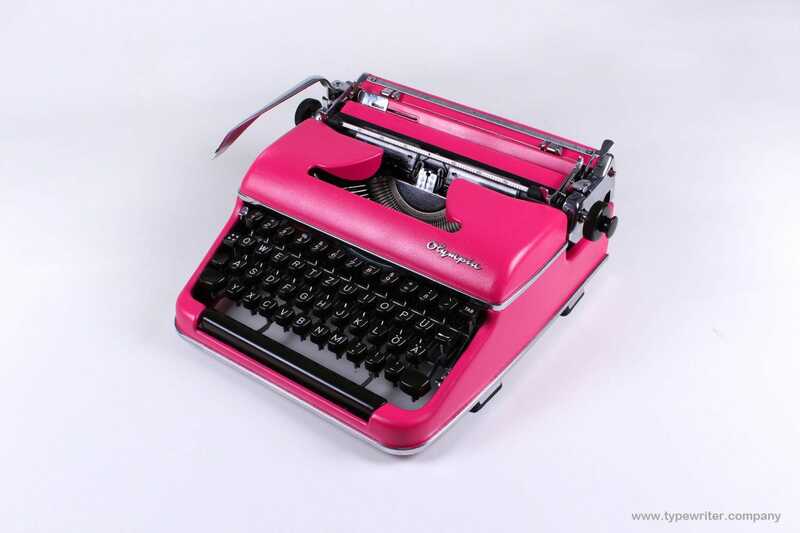 These typewriters are generally regarded as some of the best manual typewriters ever engineered. The solid, well-constructed machines are perfect for typewriter enthusiasts. Refurbished, relubricated, very good working condition with new pink colour. New ribbon installed, ready to be used! 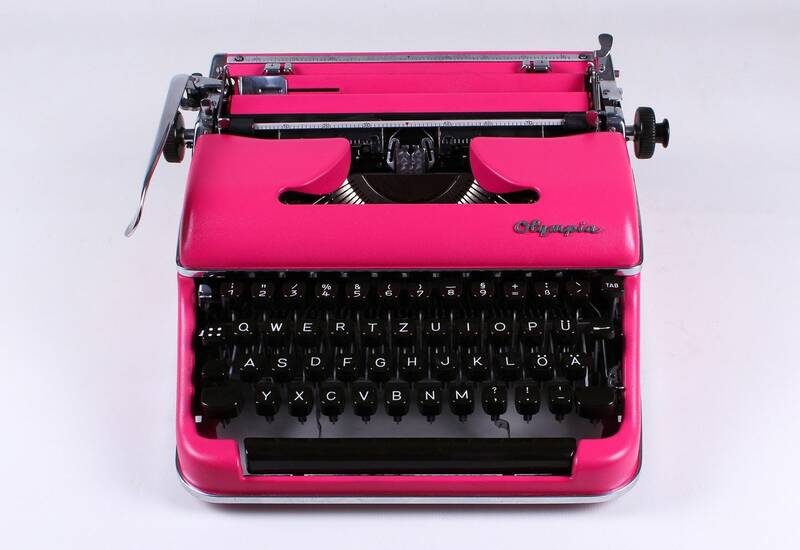 Some small elements, like parts of the carriage or a lever, may vary in colour, which doesn't change an overall aspect of the typewriter. Keyboard can Qwertz or Qwerty. Please ask before purchase of available model for custom order. All the photos and descriptions of the items in our shop are as accurate as possible, but if you have any doubts, please ask us for additional info or photos before you decide to buy the product. 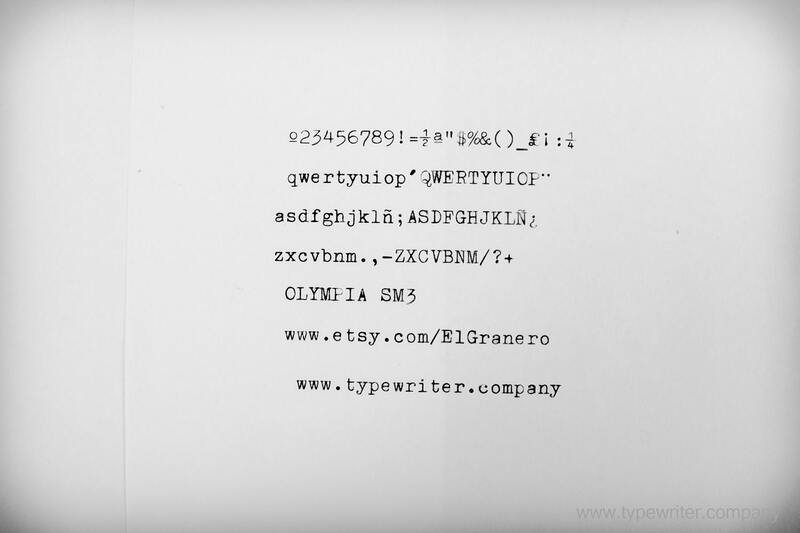 Every typewriter you sell is in a working order? + Contact Post-purchase technical online support. + Coupone code with great discount if you need to buy an extra ribbons or another gift in the future. How hard is it to find typewriter ribbons these days? How long does the average spool of ribbon last? How many pages does the average spool of ribbon type? 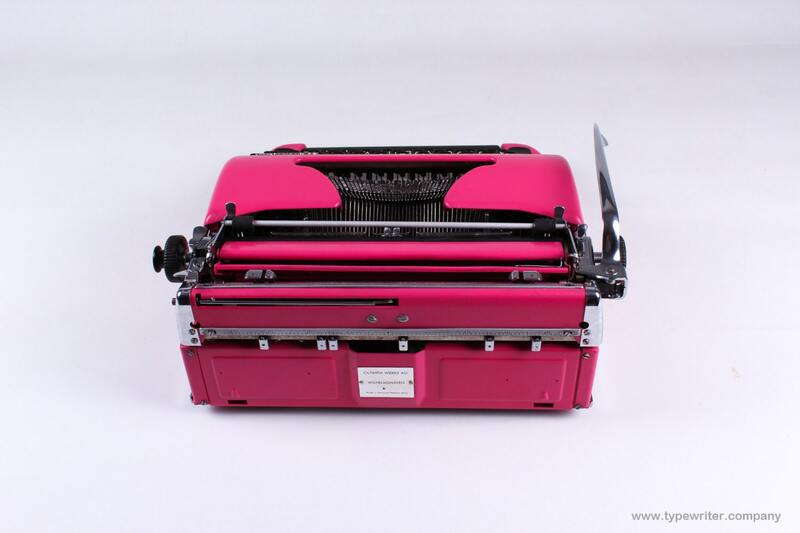 We always install a new ribbon prior to shipping so your typewriter will be ready to use the minute you unpack it. If you need more of them, you can purchase them in our shop (check Ribbon and Accessories section) , we have them always available. They can be also easily found on our Ebay or Amazon. So if all you're doing is casual correspondence you shouldn't have too much to worry about there.